I peek under our hoop house garden bed to check the progress of the hundred beets we planted early in the winter. The greens look healthy and strong. For two months I have resisted the urge to harvest baby beets early. 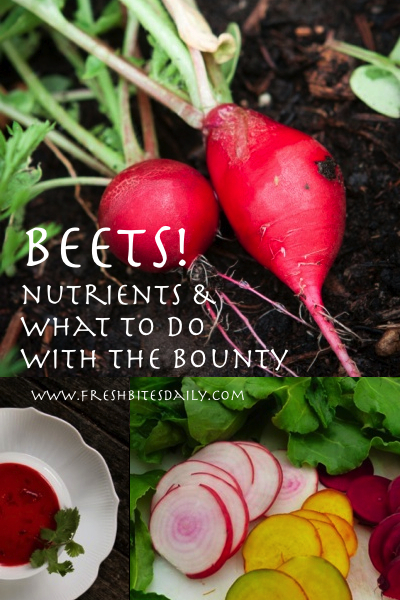 On occasion, I did harvest a few beets under the auspices of “thinning the bed.” Sometimes thinning a garden bed is necessary to give the growing beets enough space to reach their potential; other times it is an excuse to sample your bounty. Our waiting has paid off as we harvest an abundant and tasty crop. It was the health benefits of beets that convinced us to dedicate a large portion of our spring garden to this particular root crop. Beets are mineral-rich but they may also fight cancer with their high concentration of the antioxidant compound betalain, the same compound that gives dark red beets their deep color. 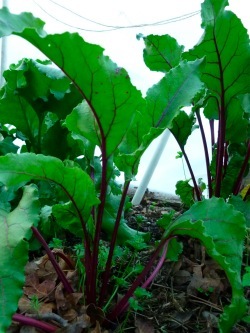 We planted heirloom beets for a bit more nutritional punch than the standard commercially-available beets. 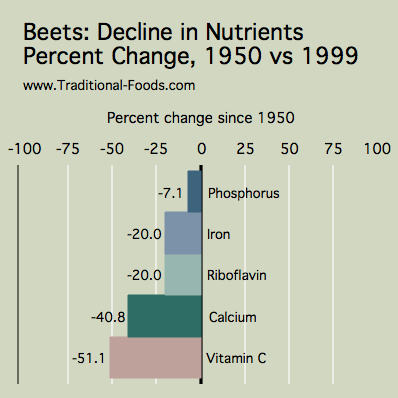 Nutrition in commercial beets has actually declined in the past seventy years, largely due to commercial seed giving up some of its nutrient density in exchange for higher yields. (I write more about this here.) The beets at the store are simply less nutritious than the heirlooms I grow in my garden. 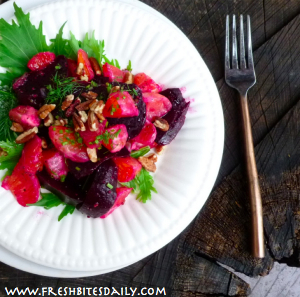 As I see it, I can gorge on three entire roasted beets, meet more than 15% of my iron requirement, and prevent cancer, all with a root crop that is extremely easy to grow in my garden. We have planted many heirloom beets in our excitement. Appreciating the mountain of beets we are now harvesting, we have been experimenting with beet recipes. 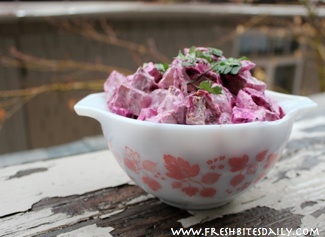 We ask everyone we know for interesting ways to use our beets and they have delighted us with ideas. These recipes are our top picks. 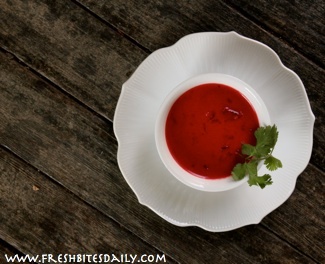 This simple recipe tops my list of personal favorites: Peel and cube the beets. Toss them in olive oil and chopped garlic. Allow the beets to marinade for a few hours. Roast them in a 400 degree oven for about 45 minutes. They will become a bit crispy with garlic and olive oil undertones. Roasted beets may be my new favorite snack and get my highest recommendation. Here in California, our beet harvest is at its peak this month. Californians ought to make a bee-line to their local farmer’s markets to enjoy the beet bounty before it is over. 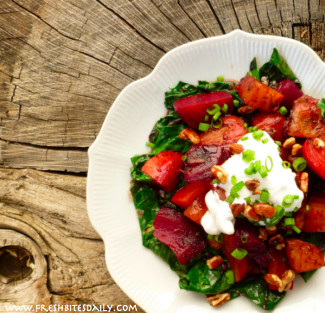 Throughout cooler parts of the country, beet lovers will feast throughout the summer.